All mammals dream. The most vivid and memorable dreams take place in REM (Rapid Eye Movement) Sleep. The eye movements correspond with the dreamer looking around and seeing things in the dream. The rest of the body is paralyzed at the brain stem. 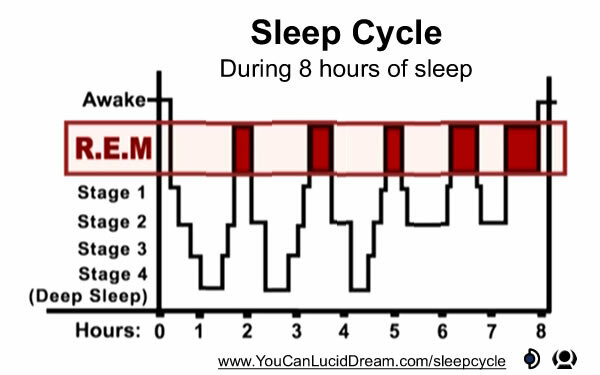 The sleep and dream cycle varies between individuals, but the majority of health people show a consistent pattern illustrated by the graphs above. 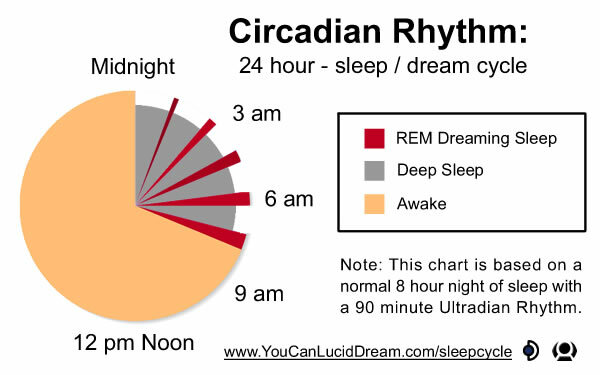 The Circadian Rhythm is a 24 hour cycle that the human body goes through each day. Within this day and night cycle there is a 6 to 10 hour period in which we sleep. This sleep period includes both deep sleep, and REM sleep. Every 90 to 110 minutes, the human body goes through an Ultradian Rhythm. This cycle is most apparent while we sleep because each cycle includes a period of deep sleep, and a period of REM sleep. At the end of each Ultradian Rhythm, there is a short period of wakefulness when the person can adjust their sleep position before falling back into sleep. 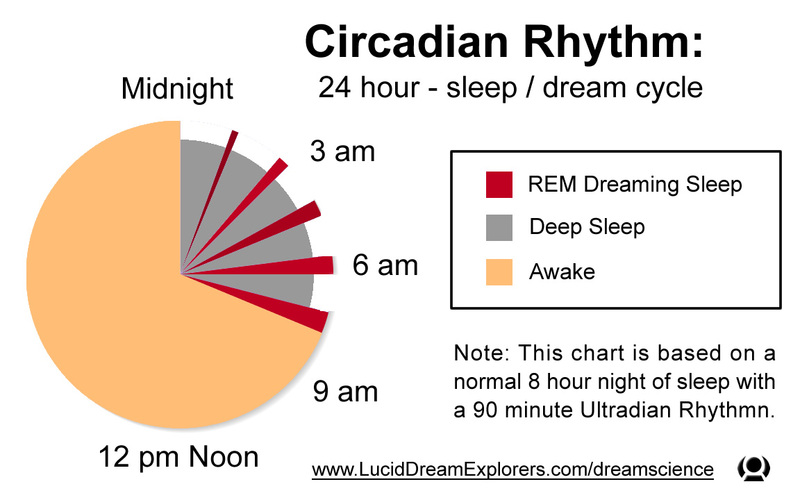 Each subsequent ultradian rhythm requires less deep sleep, and so the REM period becomes longer. A person will experience a higher degree of dream recall when they are healthy, go to sleep at the same time each night, and wake up naturally after a full night of sleep. The person must also have an interest and curiosity for their dream experiences each morning upon awakening. It is recommended to write dream experiences in a dream journey to strengthen retention.